Jason Randall is the President and Chief Executive Officer of AppFolio. With a clear look to the future, Jason’s focus is on building a successful company, cultivating a thriving team and ensuring we deliver solutions that provide great impact to our customers’ businesses. Jason joined the AppFolio team in 2008 as Vice President, Product, AppFolio Property Manager, a cloud-based software that serves the property management industry. From 2014 to 2016 he served as the Senior Vice President of MyCase, the AppFolio practice and case management software that serves the legal industry. Most recently, Jason served as Senior Vice President, AppFolio Property Manager. 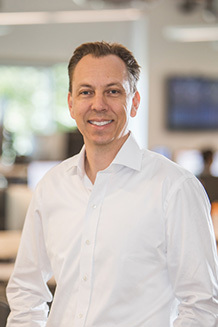 Prior to joining AppFolio, Jason served as the Senior Director of Product Management at Citrix Online (merged with LogMeIn, Inc.) and held senior positions in product development at other private SaaS companies. Jason received a B.S. in Environmental Studies from the University of California, Santa Barbara. When not working, Jason spends time with his wife and three daughters, hiking the Santa Barbara foothills, or with friends homebrewing beer.